It still comes as a surprise to many people that one of the noblest grapes of all, Cabernet Sauvignon, is parented by Cabernet Franc (a red grape) and Sauvignon Blanc (a white grape). While Sauvignon Blanc is always in the news, usually in reference to a New Zealand or Sancerre, France wine, its regal partner-in-crime Cabernet Franc is less often talked about. This is a real shame as Cabernet Franc offers one of the purest forms of wine-drinking when in solid winemaking hands. 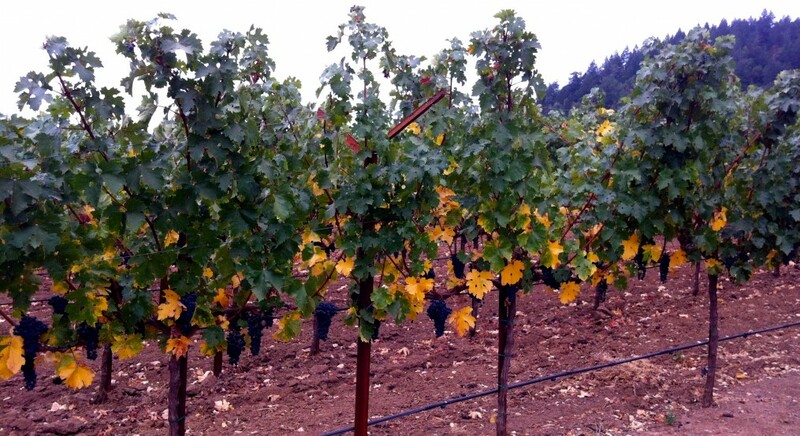 Since Cabernet Franc ripens earlier than Cabernet Sauvignon, it was historically planted as insurance for a vintner to ensure something ripened before cold weather set in. Typically lighter in body, color, and tannins than Cabernet Sauvignon, its vibrant acidity makes it a versatile food pairing wine (particularly with various meat and vegetable dishes as its characteristic herbaceous notes are naturally complementary). Cabernet Franc is often seen in Bordeaux blends where it adds notes of spice, floral tones, and a certain freshness that lifts up a wine. However, it also shines as a single variety (or dominant variety) wine as the below wines demonstrate. There is a distinctive “inkiness” or pencil lead character in this grape that delights in the best examples as well as making it easily identifiable. A regal, mysterious, and seductively alluring grape, the following wines are perfect for the magic of the holiday season (with some prices to boot). This wine made me fall in love with Cabernet Franc. I have had several vintages of this wine and it continues to be astonishing. Always in perfect harmony and balance, this Napa, California wine combines elegance and power in a cascade of crushed violet, purple flowers, cranberry, and dark chocolate aromas. On the plush palate, there is a wonderful iron earthiness highlighted by Cabernet Franc’s trademark pencil lead all framed by juicy acidity, powdery tannins, and a long haunting finish. Winemaker Scott Palazzo is a master and his wines are truly special. I discovered this lovely brand several years ago in the Taj Campton hotel in San Francisco where it’s still served. While I’ve had many of their Cabernet Sauvignons, I didn’t know they made a Cabernet Franc until I visited their Napa winery earlier this year. This particular wine isn’t made every year and, when it is, it’s in short supply (only 50 cases were produced). This wine is intensely concentrated with inky iron, black cherry, savory spice, and tarry mineral notes. It’s a bold and robust expression of Cabernet Franc with powerful tannins, tight structure, and a long peppery finish. If you’re looking for a major splurge on Cabernet Franc, look for the 2013 Vérité Le Désir ($389) from Sonoma, California which is a Cabernet Franc-dominated powerhouse supported by Cabernet Sauvignon, Merlot, and Malbec. This is a hedonistic wine with decades of life coiled within it. A sleek dark beauty with ethereal flavors of exotic spice, supple red currant and plum, violet, warm stone, and just-lit cigar smoke, this wine has a long brooding finish that simply can’t be washed away. While no longer made, this Howell Mountain, California wine was a showstopper. Densely concentrated with wafting flavors of damp forest leaves, smoke, black earth, lilac, and cigar notes, I tasted this wine through its evolution over the past several years with great fascination. The 2009 is still drinking perfectly and continues to improve (and I’m down to my last bottle). Thanks to winemaker Michael Andrews for introducing me to this wine years ago. Switching states, the 2016 Stemilt Creek Ascent Cabernet Franc ($48) from Columbia Valley, Washington is another great one to try. Richard Hood, the winemaker there, makes this wine in select vintages based on when conditions are right to “showcase varietal expression in its purest form”. These grapes come from their Wenatchee estate vineyards where they are grown on steep north-facing slopes which promote slow ripening and dense flavor concentration. This wine has jubilant aromas of dusty cranberry, black cherry, and tobacco with a scintillating herbal-driven palate of mineral, ripe red fruit, and cedar. Zesty acidity, round ripe tannins, and a spicy lingering finish make this wine a standout. This is a more exuberant expression of Cabernet Franc (led by red fruit versus herbs) compared to the California versions mentioned due to Washington’s greater warmth and planting elevation. Another marvelous expression of Cabernet Franc is found in the 2012 Gran Enemigo Single Vineyard Gualtallary ($125) from Mendoza, Argentina. I had this wine for the first time a few months ago and was bowled over by it. Although I’m not big points person, Robert Parker apparently was too as he gave this wine 95 points. Made from 85% Cabernet Franc and 15% Malbec, this wine showcases decadent notes of black cherry, blackberry, sweet spice, and thyme with powdery fine tannins, lively acidity, and a spicy long finish. While not cheap, compared to other wines in its category, it’s a wine worthy of its price. If you like Cabernet Sauvignon, there’s a good chance you’ll be intrigued by Cabernet Franc. Many of the flavors are similar but they may just be a bit more intense and concentrated in Cabernet Franc. It’s a gamble well worth tasting and it might open up a whole new drinking world for you like it did for me. Happy holidays! This entry was tagged El Enemigo, Palazzo, Richard Hood, Salvestrin Winery, Scott Palazzo, Stemilt Creek Winery, Vérité, White Cottage Ranch Vineyards. Bookmark the permalink. Wow, lots of Franc’s in ur life! Good reviews. Thank you for following me. Enter your email address to follow this blog and receive notifications of new posts by email.